Many believe Hinduism and harre Krishna to be the same religion but there are many differences that set them apart. The first and the foremost is that Harre Krishna followers do not identify themselves as Hindus and emphasize that harre Krishna is a consciousness unlike Hinduism which is a “religion”. This consciousness they say is the consciousness of God. Who is one, and it does not matter what you call this God , he is the same for everyone. The Harre Krishna share a few books with Hindus but argue that “Hinduism” is a foreign word given to the people who lived across the river Indus by the Muslims therefore no one is essentially “Hindu”, It is not a Vedic term. Nonetheless Harre Krishna share some of their books with Hindus but then they argue that if that makes them Hindus then Buddha was also initially Hindu himself so all Buddhists should be called Hindus too. Unlike Hindus, who believe in demigods and carry out ritual practices for material gains, Harre Krishna believe in only one god i.e. god Krishna. They also believe in devoting their lives to loving god and uniting with the source when they die. It is very similar to the Sufi concept of Fana and Baka. They identify themselves as the eternal servants of god Krishna, while Hindus although do believe in god Krishna but they also believe in a range of other gods whom they associate with different elements of nature. Harre Krishna disregard the notion of labeling themselves as a certain religion and instead they believe in having a relationship with the One God who is the supreme being and beyond all religious confines. In a broader sense we can think of Hindusim to be an umbrella which consists of many Gods and serves as an overarching, loosely defined term while Harre Krishna is a specific philosophical concept that is based on spirituality. Also Hindus think of Dharma as faith but Harre Krishna believe that faith is not dharma because faith can be changed while Dharma is only one. Moreover, Harre Krishna think that religion is something that is part of a man’s consciousness and its not not something that one can convert to or revert from. Harre Krishna is a consciousness, Hinduism is religion. Harre Krishna has its etymological origins in Vedas while Hinduism is a modern day term. Hare Krishna is about love of Krishna the god. There are no demigods. Harre Krishna are eternal servants of lord Krishna . 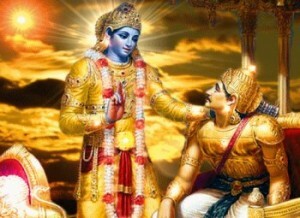 Hindu worships Krishna but also worships others. Dharma is not faith. Because faith can be changed but dharma cant be changed. de. "Difference Between Harre Krishna and Hinduism." DifferenceBetween.net. January 9, 2018 < http://www.differencebetween.net/miscellaneous/difference-between-harre-krishna-and-hinduism/ >. Umm excuse me but there are Monotheistic Hindus who believe that the so called “demi gods” you refer to are but aspects of the one God. I don’t think that is monotheism. “Aspects of the one God” as an argument for monotheism is just floral language disguising the practice of polytheism. many hindus refer to themselves as pantheists ie; brahman is in everything. part of dharmic tradition. You just cannot see and distort dharma through your abrahamic theological lens and distort it. KC is not a saparate religion exclusive from the dharmic ecosystem. It cannot be. As a westerner or an Indian cut off from your roots, you’ll never get essence of dharma. Does iskcon leadership endorse what is written in this write-up?